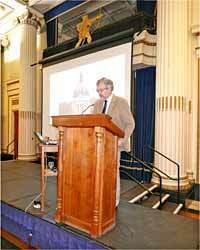 Professor John Beckett gives the Lecture on the life of TC Howitt at the Annual Luncheon. 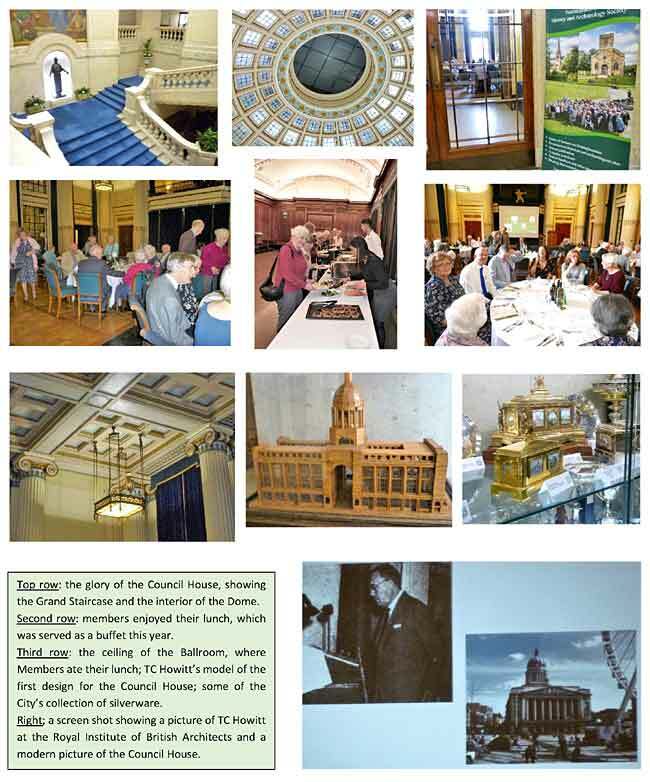 This year was very special - we met for our lunch in the Council House, at the very centre of Nottingham. This was to commemorate the 50th anniversary of death of T. Cecil Howitt, the eminent Nottingham architect one of whose best known and admired creations was the Council House. We are grateful to Nottingham City Council for allowing us to dine in the splendid surroundings of the Ballroom - we were also very pleased to welcome Cllr Liaqat Ali, the Lord Mayor of Nottingham, to eat with us. The lunch prepared and served by the staff of Eat Culture, the Council’s in-house caterers, was very much enjoyed and we thank them for the care and support given to us - all 106 members and friends. 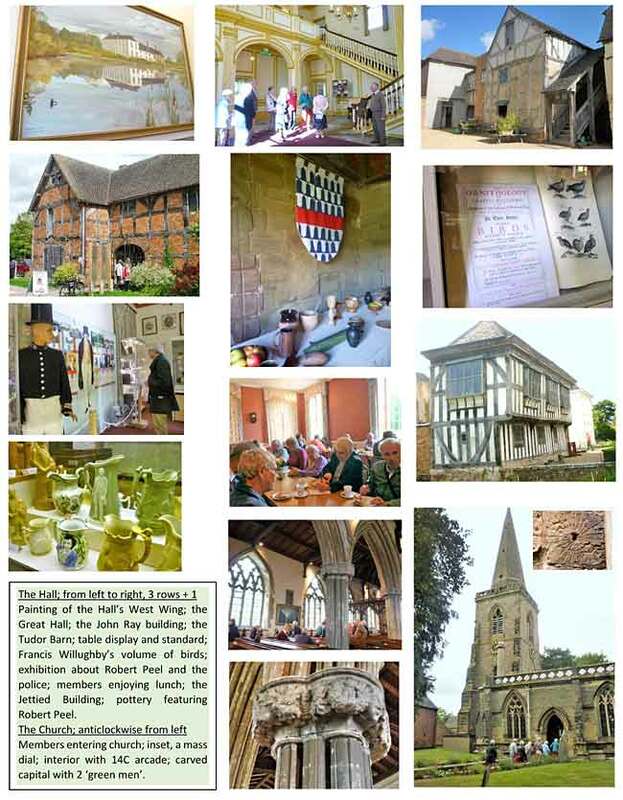 After lunch we raised our glasses for the toast to the Queen, proposed by John Beckett, followed by the toast to the Society proposed by John Hamilton who compared the lack of county history organisations in the part of England where he now lives to what we enjoy in Nottinghamshire. President Adrian Henstock responded to the toast with a description of the site of the Council House prior to its building. Following our meal Professor John Beckett gave an illustrated talk on the life and career of Thomas Cecil Howitt which was extremely interesting and raised a number of comments and questions - unfortunately we ran out of time to hear them all! A very memorable and greatly enjoyed lunchtime. We owe a great thank you to the staff of the Council House. Originally dating, perhaps, from Saxon times, from the fifteenth century until 1925, Middleton Hall was owned by the Willoughby family who also owned Wollaton Hall - hence the interest for members of the Thoroton Society. As usual, excessive death duties caused the estates to be sold off in 1924, and Middleton was not as fortunate as Wollaton: it rapidly fell into disrepair, and it was only when a group of local enthusiasts created the Trust in 1980 that it began to come back to life again. Our visit on 13th September gave us the opportunity to marvel at what has been achieved in only forty years by these dedicated men and women. The range of different buildings, surrounded by a moat, are now sufficiently skilfully restored to be able to see the full impact of the one-time significant Hall. We enjoyed coffee before being taken on tour by three committed volunteers, who showed a remarkable knowledge in their enthusiastic presentations. As well as an intriguing stone building dating from1285, the fine Tudor oak framed building was created by the Willoughbys, as well as the Great Hall. Queen Elizabeth visited in 1575, and both Francis Willoughby and John Ray a century later were renowned ornithologists, and the first book on the subject was published in 1676. Thomas Willoughby was created Lord Middleton in 1712, and he was responsible for a new West Wing and a Walled Garden. This was a lovely day, dominated by exciting practical evidence of restoration, preservation, and voluntary commitment. ‘Performing Penance in Early Modern Nottinghamshire: The Evidence of the Archdeaconry’. 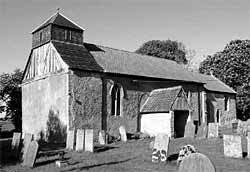 West Markham Church, where nine men were prosecuted in 1584 for playing football in the churchyard. Amy completed her PhD thesis at the University of Nottingham in 2016. In it she explored ritual and ceremony in 17th century English towns, but she has now moved on to some interesting new work on the punishment of penance in Nottinghamshire, for which she has been using material in the University of Nottingham’s Department of Manuscripts and Special Collections. Sexual deviance, character defamation, and misbehaviour usually arising from drink, regularly led to individuals being expected to appear before the Archdeaconry Court. Amy showed in the lecture how penance, which usually involved a ceremony in which the accused was made to stand in a white sheet, was largely about public humiliation, but between its heyday in the sixteenth century, and its greatly watered down final phase in the eighteenth century it gradually moved from public spaces such as the market places of Newark, East Retford, and Mansfield, as well as Nottingham, into the local church, and finally into the minister’s own house, the rectory or vicarage. Although clergy were asked to provide evidence at Visitations, by the time of the last known penance in 1794 (John Bonnington at Sutton in Ashfield) the practice had effectively disappeared from the county. As with witchcraft it is difficult to get our heads around practices such as penance, which seem light years away from our modern world, but Amy’s erudite and interesting lecture reminded us that it was once an offence to play football in the church yard during Divine Service, while fornication and sexual deviance were treated as offences, albeit offences which were prosecuted in the church rather than the civil courts.